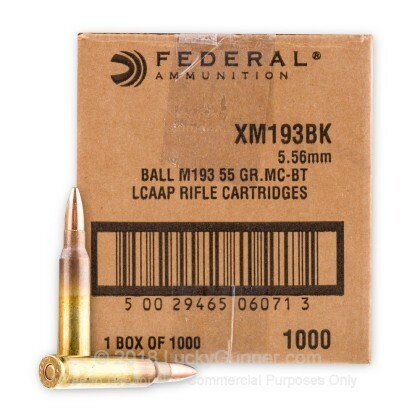 Look no further than Federal's XM193 ammo for the quality that you have come to expect from Federal at a very competitive price. Newly manufactured by Federal at the Lake City Army Ammunition Plant (LCAAP), this product is excellent for target practice and tactical exercises. 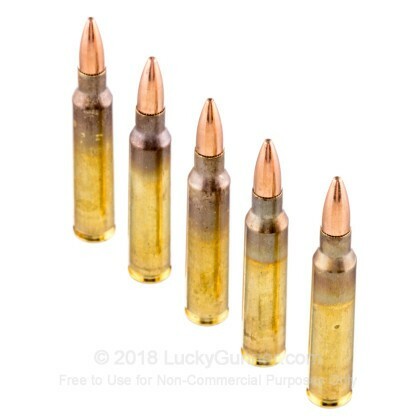 This hard to find product contains 1,000 cartridges loose packed in a cardboard case providing bulk shooters with a lower cost per round due to the lower packaging costs! This is my 5th order from Lucky Gunner. I ordered it on Wed. and had it by Fri. Good product, great packing as usual. I will buy all my ammo from Lucky Gunner. They are fast, efficient and helpful. Thank you Lucky Gunner, I'm not as grumpy anymore. Great price as always, but issue with shipper. Purchased a case of ammo and unfortunately it was lost in the mail. After running in circles with the shipping company I contacted Lucky Gunner and to my surprise they re-shipped my order at no cost to me. It says alot about a company willing to re-ship and eat $300 for the sake of customer service especially since Lucky Gunner wasnt to blame. Thanks guys, you have a customer for life and I will always recommend you guys to everyone. Lucky Gunner is the best. This is my third order from them.Easy to order, fast shipping, great packing. Thanks again Lucky Gunner. Once again Lucky Gunner is the best, fast shipping, great price, no problems ordering, good product. 5 misfeeds in 650 shots fired. Some rounds have noticeable detentions on the casings. It is still worth the money to go plinking. Lucky gunner is top notch. Ultra fast shipping. Great selection. Never have I ever gotten an online order shipped to me this fast. I placed my order at 13: 04 on 2/12 and it was in my hands by 13:00 on 2/13. Less than 24 hours. Simply amazing. 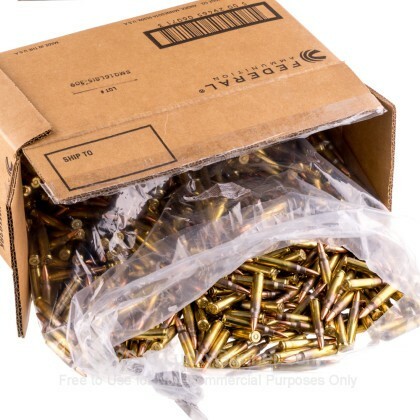 My ammo was well packaged, and the price is can never be beaten anywhere. You guys are the only place I buy ammo online. JUST STARTED USING LUCKYGUNNER AT THE END OF 2017. I AM EXTREMELY HAPPY WITH THE PRICE AND QUICKNESS TO RESPONSE OF MY ORDERS AND ESPECIALLY THE QUICK SHIPPING. THERE ARE A LARGE NUMBER OF MANUFACTURERS AND CALIBERS TO SELECT FROM. LUCKY GUNNER IS NOW LISTED AS ONE OF MY FAVORITES ON MY TASK BAR SO I CAN QUICKLY SEE IF ANY GREAT DEALS ARE CURRENTLY HAPPENING. Great pricing and service. Will purchase again. Good price and fast shipping. I have not had any failures with this ammo and I have shot over 800 rounds of this. 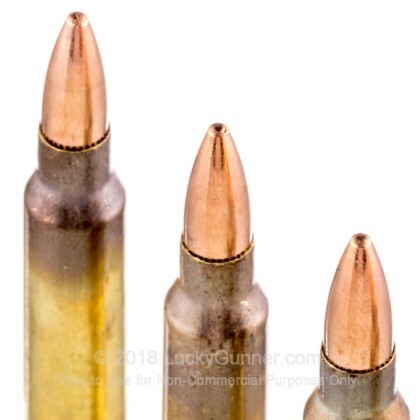 Other than the price increase from the manufacure, this is great ammo, and still the best service from LuckyGunner, I have and will order this product again. No problems, sending it down range. overall pretty good, but i found about 20% of them has some wobble when rolled on a flat surface,so far they have fed and shot ok. Product and supplier both great. Product is as it should be and Lucky Gunner great to deal with. Thanks, Jim. I really like this ammo its not dirty and every round chambers and fires flawlessly. Lake City ammo is top shelf 5.56 ammo. No problems. Fast shipping, good communications. I received this product three or four days after ordering. It worked well in my AR 15 Sport on the range. It's accuracy is better than my ability! Thanks Luckygunner for having it available. I've gone through about 500 rounds in my LWRC M6-SL and not a single issue. Much more fun to shoot than 223. I hope they'll have more when I need it!! Only my armorer gave me this much ball for less. BRAND NEW first run top quality best deal kinda ammo. All XM193 regardless of suffix is loaded to same specs. Case mouth and primer are sealed for long term storage. I mixed it with other XM193 at the range and shoots to exactly the same POI. Looks good shoots great. Buy now and use your other crap ammo to take a new shooter out. 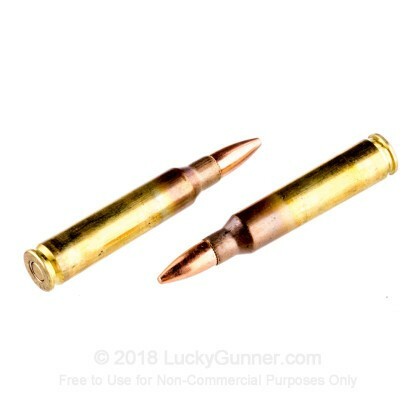 I love this Ammo and you really can not beat the service From Lucky Gunner. Lake City Federal good enough for Iraq, Afgan. good enough for me. I got this because of price for use as plinking ammo. 1003 in the box. Over 100 rounds downrange and very happy for range ammo. Also, Luckygunner experience was great.Received order in 4 days. this is not military issue... It should be better discribed as NOT FOR DUTY USE.... means its 2nds, or defective in some way that the LEO or military wouldn't take it..
Q: Is this ammo typically indoor range friendly? A: This ammo is a great choice for indoor range use. This is because it does not contain any steel. This is a copper jacketed lead core projectile. A: Loose ammunition is bulk packed shipped to you in a large box. There are no individual boxes or cartons. The rounds are in a sealed plastic bag. This allows us to pass on a significant savings to you! Q: Does Lucky Gunner still offer veteran discount? I don't see it offered when ordering. A: We do have a discount for veterans! You can get the detail by visiting this link: https://www.luckygunner.com/heidi-salutes-our-military. Thank you for your service! Q: Are you sure this Federal ammo is covered under their current rebate. They specifically refer to their American Eagle branded product. "$0.05/round rebate on Federal® American Eagle® .223 Rem. and 5.56x45mm NATO rifle ammunition". This is not American Eagle, though it may well be the same ammo. Q: Are these considered armor piercing or will they fail the magnet test at my range? A: These are not Armor Piercing. The jacket is comprised of copper with a lead core. This ammo will pass a magnet test and is considered range safe. Q: Is the special price for the federal 5.56x45 including the .5 c rebate or is the special price separate? A: This is manufactured in Salt Lake City, Utah.